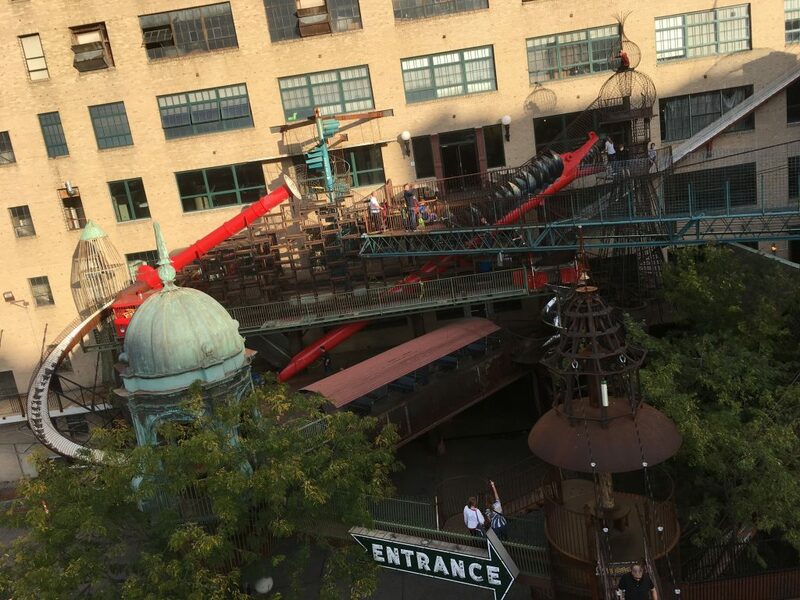 St. Louis City Museum: Is it worth the cost? The City Museum in St. Louis rendered me speechless. This may be acceptable as an experience, but makes writing a thorough review rather complicated. 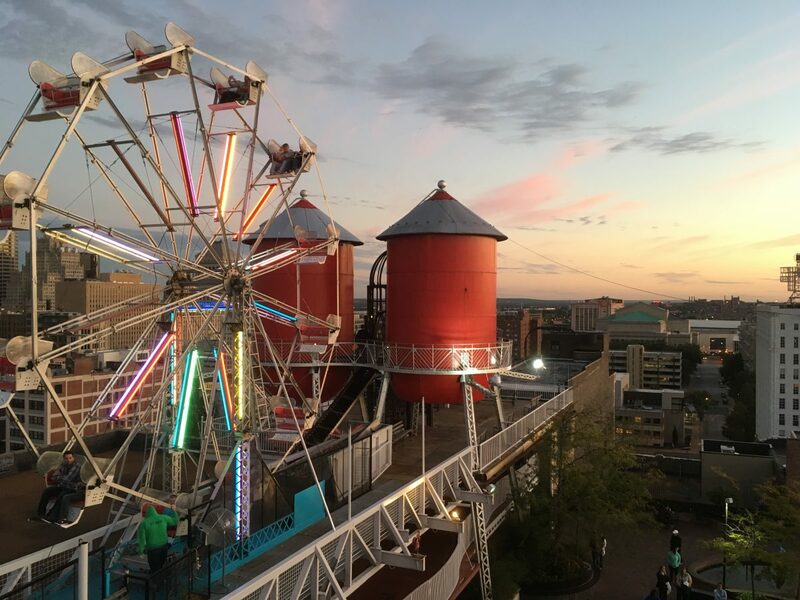 To break it down in the simplest form: should you find yourself in the St. Louis area, despite the cost, the City Museum is a place not to miss. A year ago while our family was on a road trip from Idaho to Tennessee, we passed through the city of St. Louis. We were short on time and had a limited travel budget. 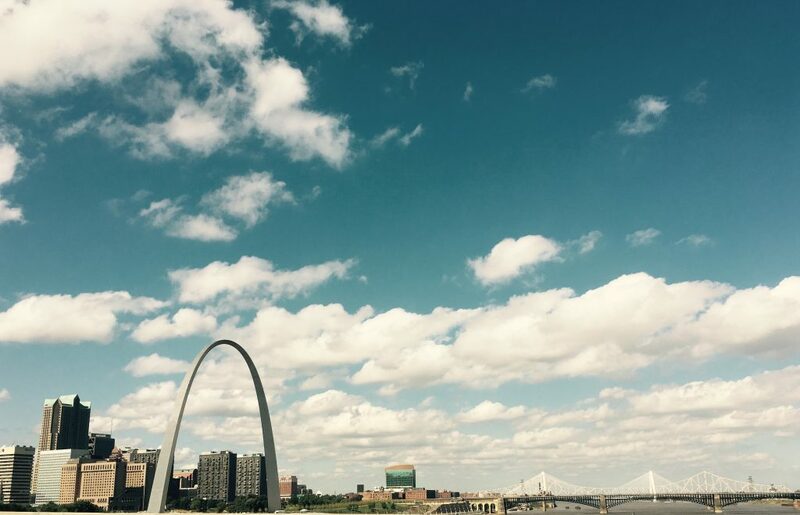 We had to decide: do we visit the St. Louis arch or the City Museum? Both our time and budget constraints claimed the arch as the clear winner. We splurged and purchased tickets to ride to the top of the arch. Leaving St. Louis with satisfied awe, we vowed to visit the City Museum should we find ourselves in the area again. Our moment of truth arrived a month ago. Once again we were back in the “Gateway to the West”. 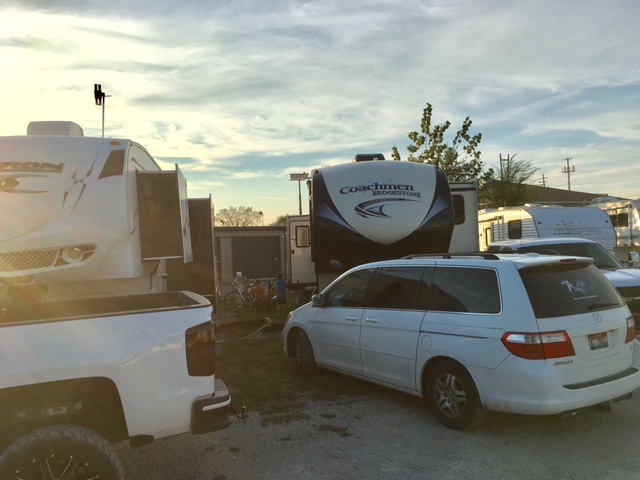 Equipped with long pants, flashlights, walkie-talkies and an adventurous spirit, we coughed up the seemingly ungodly admission fee for a family of 6 (see details below for pricing breakdown) and braced for the onslaught of the unknown. To say that creativity is king in this multi-story, multi-purpose maze of merriment would be an understatement. Upon entry, we were overwhelmed by the clever usage of recycled decor and thoughtful design. Everywhere you looked, mixed media art covered the walls, ceilings and floor. Everywhere you stepped, adventure awaited in the form of slides, caves and tunnels. 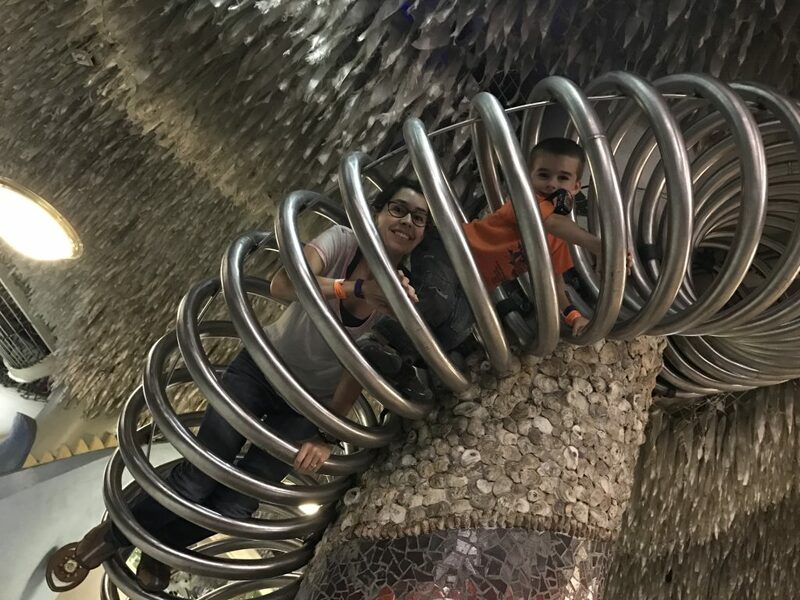 Oversized, stainless steel springs spiraled up to the ceiling beckoning all to climb up and in. Unknowingly naive and caught up in the excitement of the moment, we all ascended. Somewhere suspended at an unnatural height and progressing toward an ever growing narrow passageway, I faced a moment of truth: just because I can, doesn’t mean I should. Locating the closest exit route I could find, I detoured my fun to a lower elevation. Shockingly jarring, yet strangely appealing, was the fact that there are no maps to lead your navigation of discovery. Instead, a child’s sense of intuition guided the day. Thankfully, we decided to visit on a Friday when the hours extend clear till midnight, because the kids were still going strong at 5PM when closing hours would have typically interrupted the frolicking fun. In an unabashed manner we climbed, crawled, slid and scooted our way through the endless maze of cleverly crafted, well planned discovery. Testing the limits of our comfort, we threw caution to the wind and blindly trusted that if they built it and other people are doing it, it must be safe. (Yes mom if our friends jumped off a cliff, we would jump too). By the end of the day, the parental figures throughout the building were drooping from fatigue while their younger counterparts gaily ran wild-eyed and free. We milked the evening as long as we could. However, Trent and I were running on empty by 8:30 PM. After 9.5 hours of endless exploration and play we left exhausted and happy. We’d just experienced a menagerie of creative play and endless exploration. Nothing we’ve seen so far could compare and thus far it remains at the top of our kid’s lists for things they’ve done since we’ve hit the road. 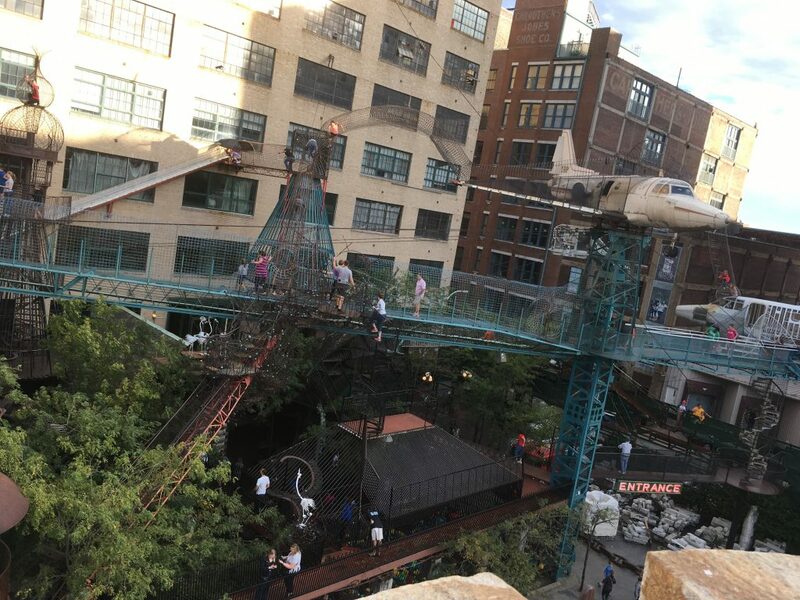 My 13 year old son wrote about his thoughts and experiences at The City Museum as did my 10 year old daughter so feel free to follow those links to read about it from their perspective. These are also the first posts they’ve published. I know they’d love it if you left a comment ;). To try to fill in the gaping holes in my explanation, please check out the video my husband put together. He did a great job of showing the unique features of the St. Louis City Museum. 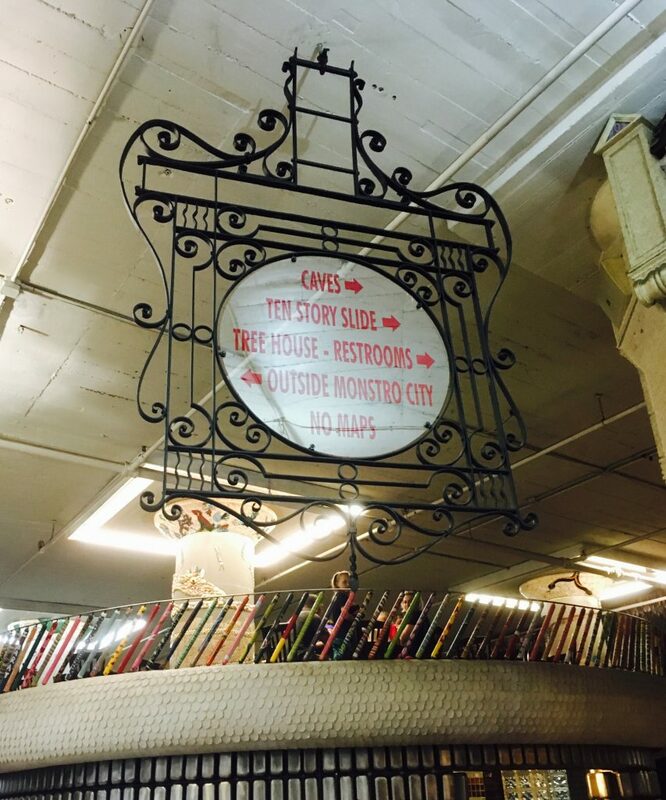 Hours: The City Museum is open Wed-Thurs 9-5, Fri-Sat 9-midnight, Sunday 11-5. Prices: $12 per person ages 3 and up (or $10 after 5 on Fri and Sat) If you wish to go up on the rooftop it is an additional $5/person. Everyone we talked with said purchasing the rooftop was a must. We decided to trust their judgement and it was great, especially for the views throughout the day and into the evening. If you purchase the option to go on the roof you are given a special armband allowing you to come and go as desired. The evening weather on the rooftop was cooler than we planned for however so keep that in mind when choosing your attire. 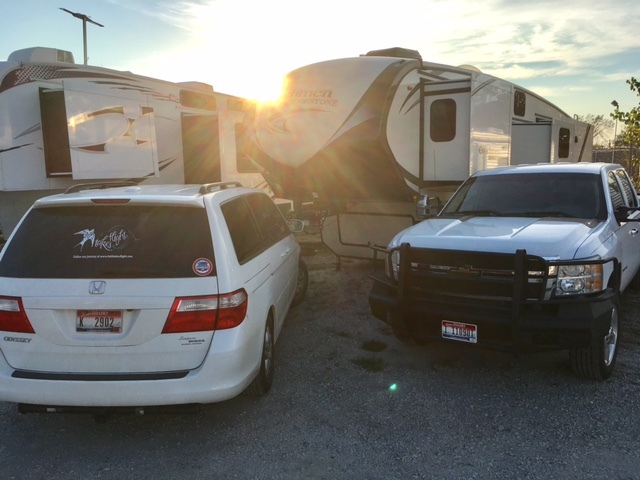 Parking: There are a few all day parking lots within easy walking distance for $5. We were in our van at the time. 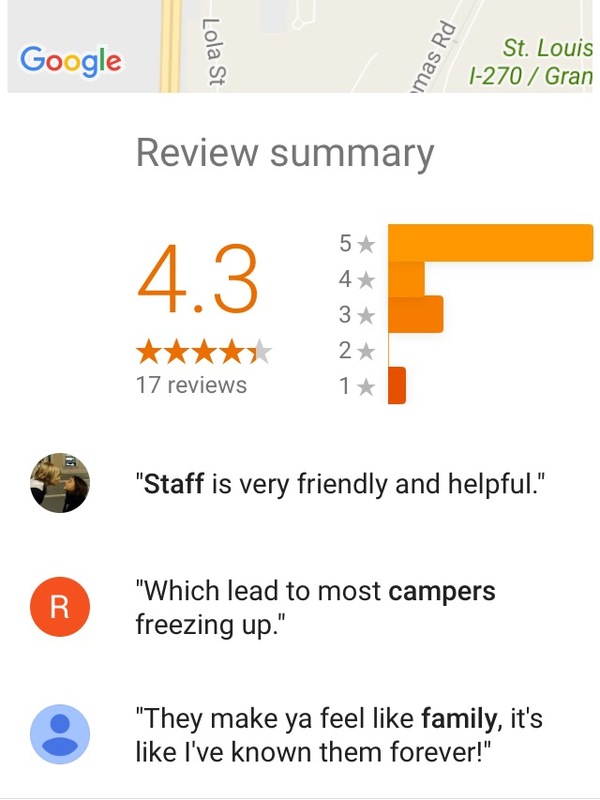 If you visit this area with your RV, I do not recommend the Trail’s End campground. Ages: Our kids are ages 5, 7, 10 and 13. They all enjoyed their time in their own way. As adults it was also an incredible experience. I believe it would be harder to enjoy the museum with kids 3 and under as a lot of the places to play require independence. That said, there are some specific areas for younger kids to play and explore. Tips: We have watch style walkie-talkies (affiliate link). These were a great tool throughout the day as there were several occasions that the kids were out of eyesight as they climbed through tubes, tunnels and caves. It brought such peace of mind to be able to touch base with everyone at anytime. Long pants were useful as so much of the time you may be crawling. If we’d had knee pads we would have worn them as well. Flashlights (or particularly head lamps) were useful in the dark tunnel like caves. 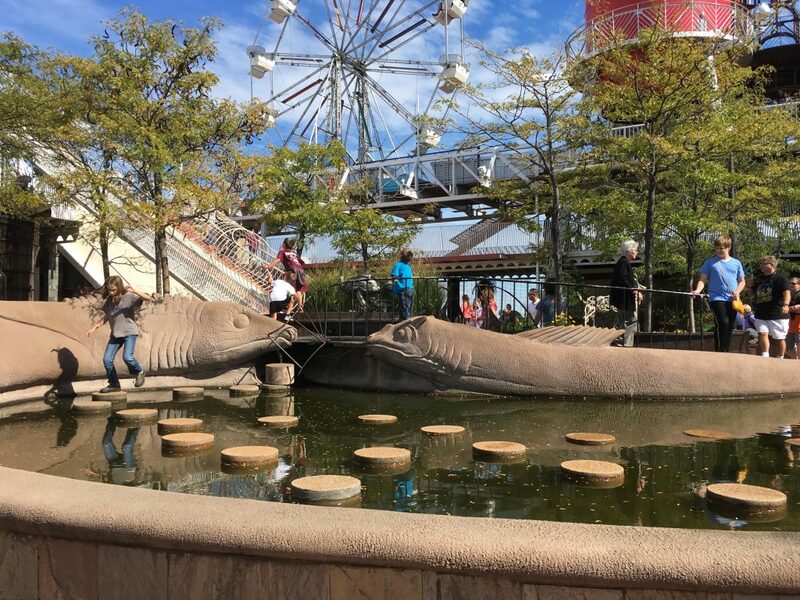 Author Heather LedeboerPosted on November 9, 2016 November 15, 2016 Categories Missouri, Travel stories2 Comments on St. Louis City Museum: Is it worth the cost?